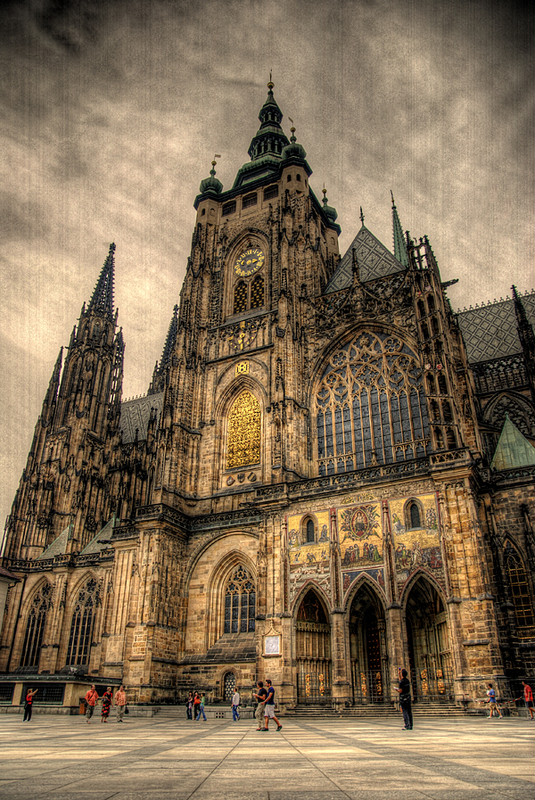 It's the biggest church in Czech Republic, situated within Prague Castle. It contains tombs of many kings. It amazes me that these buildings can be so old and yet still look this good. I wonder how often someone has to climb up and clean them. Katedra jest piękna a zdjęcie rewelacja ! kiedy ty byl w pradze? fajne zdjecie, to taki maly hdr czy zwykly efekt jakis?